discarding the seeds, and set aside. Peel and slice the onion into rings. mint, taste, and adjust seasonings. mixed. Garnish with mint sprigs. 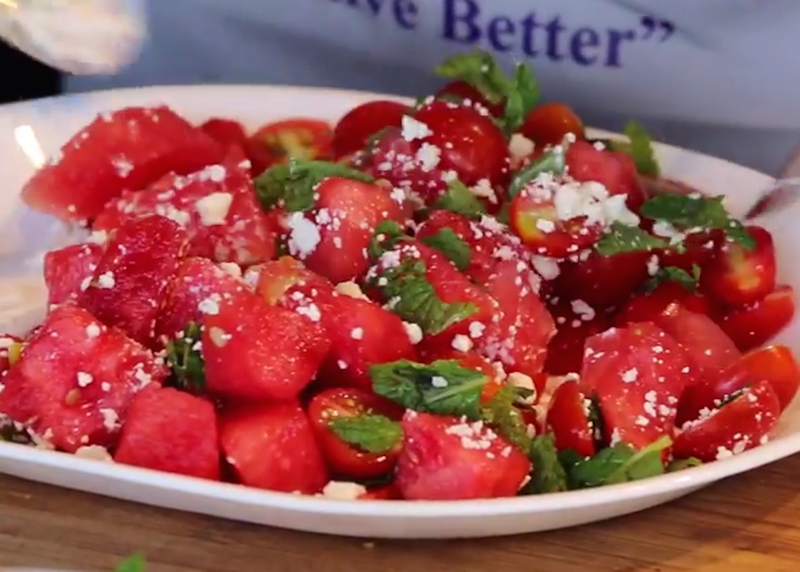 This entry was posted in Recipes, Soups & Salads and tagged Dietitian, dressing, farm, feta cheese, fruit salad, Jersey Fresh, local, mint, New Jersey, onion, Recipe, Salad, sweet onion, tomato, vidalia onion, video, watermelon. Bookmark the permalink.